Slaymaker, Olav. "Physical Geography". The Canadian Encyclopedia, 04 March 2015, Historica Canada. https://www.thecanadianencyclopedia.ca/en/article/physical-geography. Accessed 24 April 2019. The roots of physical geography in Canada lie in scientific exploration. In the 17th and early 18th centuries, explorers provided descriptions of local and regional physical geographies, but the first substantial contribution was that of David THOMPSON. Flooding at Ste Agathe, Man. 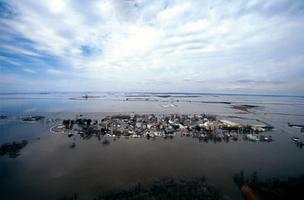 Southern Manitoba's rivers flow through narrow trench-like channels over flat prairie (courtesy Maclean's). Physical geography is that branch of GEOGRAPHY concerned with describing and analysing the distribution of physical and biochemical elements of the environment; interpreting environmental systems located at or near a boundary between atmosphere, lithosphere (the rigid part of Earth's crust), biosphere or hydrosphere (Earth's water); and determining the resilience of such systems to human activities at or near Earth's surface. In Europe, GEOMORPHOLOGY is a subfield of physical geography. 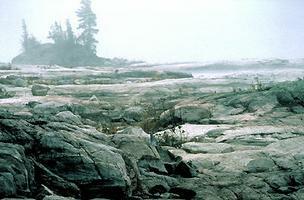 In North America, it is frequently a branch of GEOLOGY. Both traditions are found in Canadian universities. The roots of physical geography in Canada lie in scientific exploration. In the 17th and early 18th centuries, explorers provided descriptions of local and regional physical geographies, but the first substantial contribution was that of David THOMPSON. He carefully surveyed the terrain, made regular meteorological and astronomical observations and discussed the hydrology and ecology, in addition to assessing the resource potential and cultural and settlement characteristics, of the Canadian West. Thompson's map of western Canada (1814) was a milestone in the development of physical geography in Canada (seeCARTOGRAPHY, HISTORY OF). The FRANKLIN expeditions of 1819-22 and 1825-27 included John RICHARDSON, whose geological and physiographic interpretation of the Mackenzie River valley and the Arctic coast was the first in a long tradition of northern physiographic studies. Establishment of the GEOLOGICAL SURVEY OF CANADA (GSC) in 1842 marked a further stage. 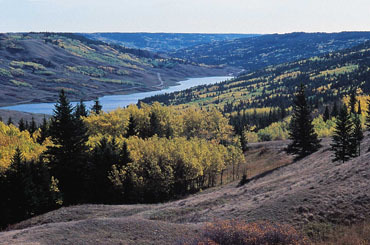 The PALLISER EXPEDITION (1857-60), sponsored by the Royal Geographical Society, and the Hind-DAWSON expeditions (1857-58), supported by the Government of Canada, generated information on climatic, vegetation, geological and landform contrasts in the Canadian West. 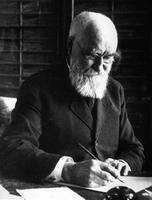 Henry Y. HIND documented the overwhelming influence of GLACIATION on Canada. In this period Mary F. Somerville's Physical Geography, the first book to be so titled, appeared in England (1848) and John Herschel made the first reference to physical geography in the Encyclopaedia Britannica (1853). Much of the information generated by scientific exploration in Canada was incorporated into European physical geography. During the 1860s the Meteorological Service of Canada was organized; in 1870 the responsibilities of the GSC were extended to the western interior. Sensitive descriptions of the physical environment of Canada ensued and meteorological networks were extended through western and northern Canada. By 1894 John MACOUN had discussed the FORESTS of Canada and their distribution and, in 1914, some of the first integrated SOIL survey work in Canada was organized by the Ontario Agricultural College at Guelph. Regular reports on FLOODS were published by the Department of the Interior, Dominion Water Power Branch, from the 1890s. In 1915 the first Canadian university-level course in physical geography was established in the department of geology and mineralogy at the University of British Columbia. 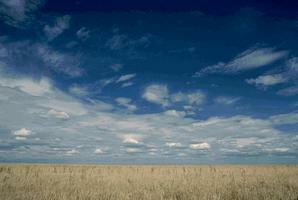 A course in meteorology and climatology was added in 1920. In 1920, Émile Miller, the first geography-trained geography instructor in Canada, was appointed to the Faculty of Social Science at the Université de Montréal to teach physical and human geography. In 1922, the name of the department was changed to geology and geography. Later in the 1920s and the 1930s, extended visits by Jean Brunhes and Raoul BLANCHARD from France made Montréal the Canadian centre of academic geography. In 1935 Griffith TAYLOR became founding head of the first full department of geography in Canada, at the University of Toronto. 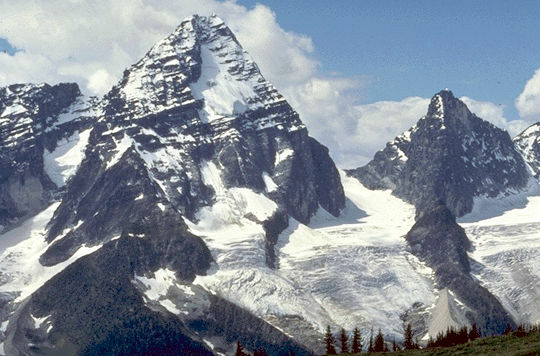 By 1950 general courses in physical geography were offered at the University of British Columbia, Laval, McGill, McMaster, Université de Montréal, University of Toronto and University of Western Ontario, but a change in the degree of emphasis on physical geography within geography departments had taken place. This change derived primarily from the increasing dominance in Canadian geography departments of US-trained academic geographers, who came from a SOCIAL SCIENCE tradition. In Canada, there are more than 35 university geography departments, of which some three-quarters are medium-size departments with greater than 15 faculty members. 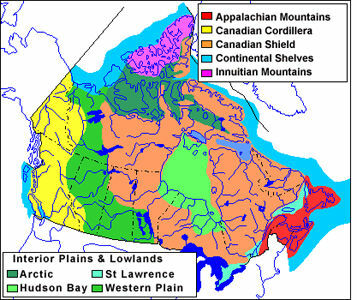 The federal government departments in which most physical geographers have found employment provide an indication of the range of applications of physical geography: Meteorological Service of Canada; Institute for Research in Construction, NATIONAL RESEARCH COUNCIL; National Water Research Institute; Natural Resources Canada; GSC; and Aboriginal Affairs and Northern Development. Educational, private consulting and provincial governmental agencies are also major employers of physical geographers. Physical geographic expertise may be applied to problems associated with PERMAFROST, snow, GLACIERS, mountain environments, urban climates, SOLAR ENERGY, CLIMATE CHANGE, LANDSLIDE and flood hazards, terrain analysis and environmental planning. The range of technologies employed to acquire and manipulate data includes REMOTE SENSING, infrared and satellite photography, GEOGRAPHIC INFORMATION SYSTEMS, computers (analysis), etc. The International Geographical Union (IGU) is one of 30 member unions of the International Council for Science (formerly the International Council of Scientific Unions) (ICSU). Canada is one of 90 member nations of the IGU. The International Association of Geomorphologists (IAG) is affiliated with the IGU and the International Union of Geological Sciences (IUGS). Within Canada, the Canadian Association of Geographers (CAG), Association professionnelle des géographes du Québec, the Royal Canadian Geographical Society and Société de géographie de Québec form the national foci for most geographers. Physical geographers are also involved in the Canadian Geoscience Council (as representatives of CAG), the Canadian Geomorphological Research Group, the Canadian Geophysical Union, the Canadian Meteorological and Oceanographic Society, the Canadian Quaternary Association, the Association québécoise pour l'étude du Quaternaire and the Geological Association of Canada, among others. The Canadian scientific journals in which most Canadian physical geography research is published include The Canadian Geographer, CANADIAN GEOGRAPHIC, Canadian Journal of Earth Sciences, Canadian Geotechnical Journal, Canadian Journal of Soil Science, Géographie physique et quaternaire (1977-2009), Atmosphere-Ocean, Cahiers de géographie de Québec, and The Great Lakes Geographer.